Design stand-alone or 401(k)/Profit Sharing Cash Balance plans using precise testing and attractive plan design illustrations that feature visual aids such as charts and graphs. Plan specifications include options such as PBGC, Interest Credit, Funding Rate, Actuarial Equivalence, and Testing Assumptions. Plans are stored in a database and are always accessible; and reports and census data can be exported to PDF/Excel and Excel, respectively. The census for each plan can be imported into using our spreadsheet template and then modified in the system. Data is validated by our system and errors will be brought to your attention. 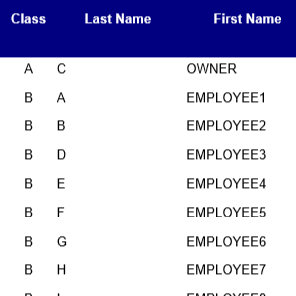 Classes can be named from A to ZZ, which allows for over 700 individual classes to be created. Worksheets may be used to pinpoint what's holding you back from passing any failed test. View any participant's contribution projection forward and compare to other funding options and limits. Create owner-only plans in minutes with our specialized Owner Only Plan Analysis module. 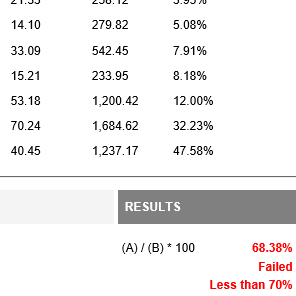 Calculate Target Normal cost, 417(e) PVAB and Lump Sum Payouts. A single user account subscription for the RPC Cash Balance is billed at $220 per month (on a monthly basis, cancel any month) or $2,200 per year (billed once per year). Each account comes with unmetered plan count and system support; and support may be provided to a designated data entry clerk in addition to the registered user. If an annual subscription is purchased alongside an RPC New Comparability annual subscription, there is a bundle discount of $220 per year; so annual subscriptions for RPC New Comparability & Cash Balance together are $3,080. Please contact us if you are interested in a live product demo, a one-week trial, or group or enterprise pricing.